Supporting ethical hunting through the proper training and testing of the Versatile dog - Hunt Train Test! Practical performance on land and in water is required in all SAVHDA tests. 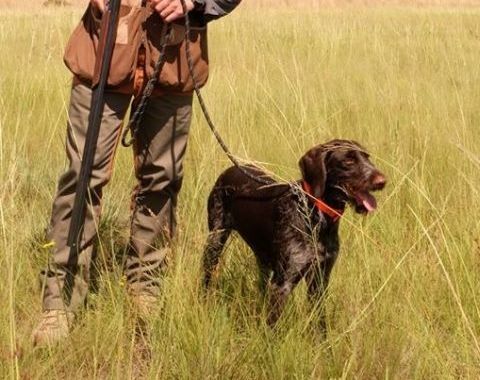 Do you want a truly versatile hunting companion that is well-trained and reliable on land and water? See what you and your dog can achieve together with SAVHDA! We are dedicated to the Versatile - HPR breeds! 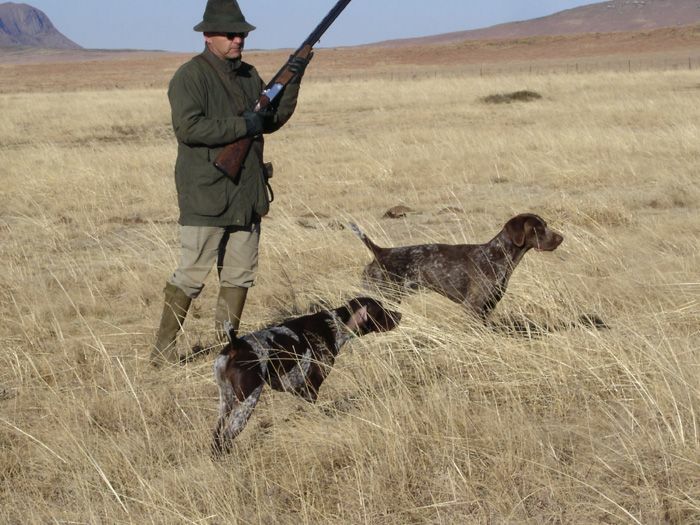 The Most common versatile breeds in South africa are the German shorthaired Pointer (GSP or Kurzhaar), the German Wirehaired Pointer (GWP or Drahthaar), Vizsla, Weimaraner and spinone. own one of these breeds? savhda is for you! See the all the Winning Photos from the SAVHDA Photo Contest.....Congratulations to all! And a big thanks to Els Fine Leather and Mike Hunt Gundog Supplies for their support and sponsorship! We're having a Photo Contest on Facebook. Check it out by clicking on the link at the top of the page! 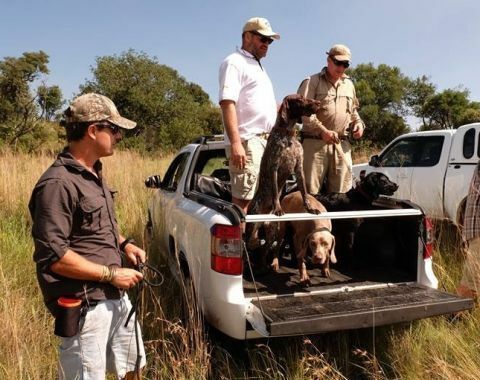 Or find us on FB at: SAVHDA - South African Versatile Hunting Dog Association. Prizes from Els and Company Fine Leather and Mike Hunt Gundog Supplies and Accessories. SAVHDA Workshop Part 1 - Basic Overview, Manner of Retrieve, Drags and Water Work - September 22, Suikerbosrand. Find out more about the SAVHDA Judges here! Every so often we will profile one Judge from each Region. This month, we introduce Razvan Vlad Berindan and Trudi Winter. 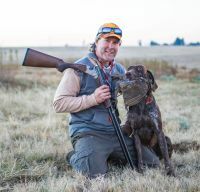 By Bob Winter This Test is described by SAVHDA as suitable for young dogs in training that are beyond the Natural Ability Test, but not yet ready for the Advanced Versatile Hunting Test. SAVHDA members Annemari and Herman Groenwald's imported Italian Spinone, Lucia, is the first Spinone to earn a SAVHDA Title in SA! 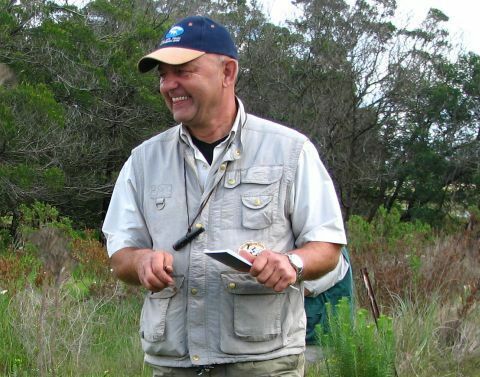 A Newcomer’s Perspective – by Werner Terblanche. Since the day back in 2010 when a good friend introduced me to the uniqueness and intelligence of the versatile hunting breeds I knew that I was hooked! See Puppy pics from our members! Here is where SAVHDA members may list their planned litters, current puppies, or dogs for sale. Please bear with us...we are new and there will not be many litters or dogs that meet our criteria for listing for some time!